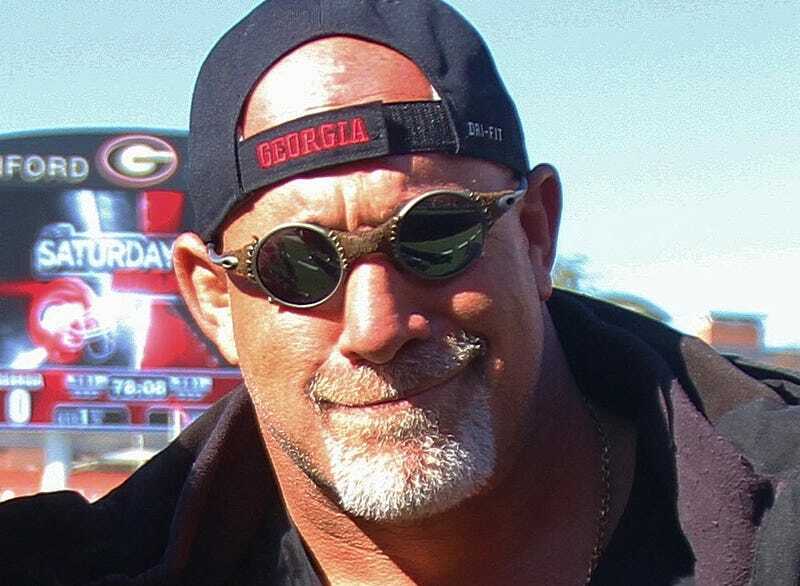 How Did UGA Recruit Bill Goldberg? Well, Bourbon Helped. For a few years in the late '90s, Bill Goldberg was one of the world's biggest pro wrestlers. But before that, he was a pretty darn good football player, playing DT at Georgia and getting drafted into the NFL. (He would play in 14 games.) On Jim Ross's podcast yesterday, Goldberg shared stories of how he ended up a Bulldog. "(My uncle) was best friends with Bear Bryant, and Bear Bryant passed way," Goldberg said. "My uncle asked me if I had any interest in going to Georgia because he thought very highly of a guy named Vince Dooley. Since they were the Junkyard Dogs (and) known for defense, it sort of played into my mentality. It was red and black. It was kind of a violent style of football. "I gave it a shot … Again, what solidified my trip was a bottle of Wild Turkey that was handed to me as I was standing on top of a bar during my recruiting trip. You know, I had a great time at Georgia, great memories. It will always be that one thing in my life that I'll want to re-enact again." A digression more important than booze-soaked recruiting visits: Isn't it about time wrestling tried another undefeated streak storyline? I mean, that's pretty much all Goldberg had going for him, and it was enough to make him a legitimate superstar. Intense, buff guys are a dime a dozen—wouldn't a hyped rookie with a yearlong winning streak be one of the WWE's marquee guys before long? It's been 16 years—the world needs another Goldberg.